An evolution of the style in which the message becomes more and more intimate and personal: a design based on pure lines, authenticity and essentiality of the shapes. The minimal design of these jewels hidden in the eyes of the words, stamped in relief to the side. 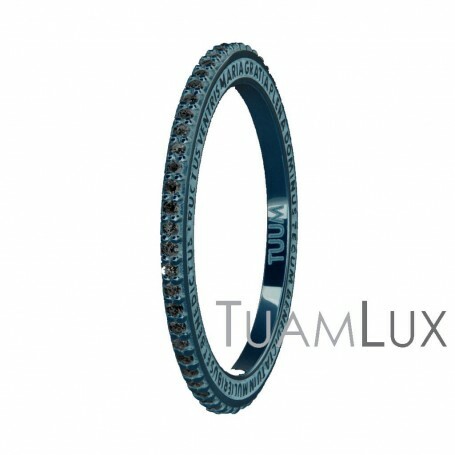 TUAMLUX is a ring in silver that embraces the same philosophy of NUMEROUNO and NUMERODUE in which, however, the front is embellished with spinelli blacks. Masterpieces of microscultura, leading the goldsmiths TUUM know-how are more and more high and refined.